Earner of $50,858: NCHA Open Futurity Semi-Finalist; 5th, Breeders Invitational Non-Pro Derby; money-earner, NCHA Open Super Stakes & Non-Pro Derby; finalist, 2018 NCHA Super Stakes Non-Pro Classic; top 10, 2018 Augusta Non-Pro Classic. By CATS MERADA (1999). $177,900: 3rd, NCHA Super Stakes Open Classic and NCHA Open Classic/Challenge, etc. A 2018 NCHA & NRCHA Top 25 Sire, and an NCHA All-Time Leading Sire, siring earners of $6,215,000. DMAC PICCOLO PETE (f. by WR This Cats Smart). 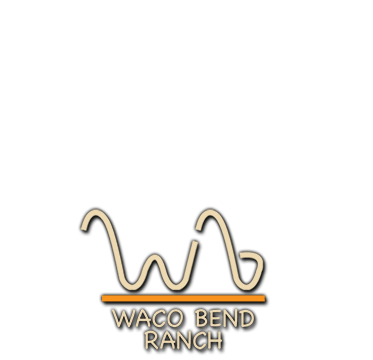 $140,508: West TX Open Futurity Reserve Champion; split 5th, PCCHA Fall Open Futurity; finalist, NCHA Open Super Stakes; 3rd, PCCHA Open Summer Derby. DMAC MOVES LIKE JAGGER (g. by Smooth As A Cat). $66,936: NCHA Derby $100,000 Sr Amateur Reserve Champion; finalist, Abilene Spectacular Open Derby; NCHA Derby $100,000 Amateur Co-Reserve Champion. CHERRY CHEX CAT (f. by Cats Merada). Reference. CHERRY CHEX DUALLY (f. by Hes A Peptospoonful). Above. SUGAR CHEX DUALLY (f. by Smart Sugar Badger). $89,461: split 7th, Breeders Inv. Open Derby; 5th, Millionheir Open Derby; finalist in the Augusta Open Classic, Brazos Bash Open Derby. CHEX OUT MY HINEY (f. by High Brow Cat). $88,062: top 10, NCHA Open Derby; 5th, Bonanza 4-Year-Old Open; finalist in the Breeders Inv. Open Derby, Augusta Open Futurity, West Texas Open Derby. BUENO CHEX MADI (f. by High Brow CD). $85,536: Cotton Stakes Open Futurity Reserve Champion; PCCHA 4-Year-Old $100,000 Non-Pro Stakes Cham- pion; PCCHA Amateur Classic/Challenge Champion and 6th, Unlimited Am. ; 3rd, PCCHA Winter Open & Amateur Derbies; Idaho Amateur Classic Cham- pion, Reserve Champion; finalist Southern Open & Non-Pro Futurities. CHEX MY CAT (g. by Smooth As A Cat). $68,310: NCHA Limited Non-Pro Clas- sic/Challenge Champion, finalist Open; top 10, NCHA Super Stakes Limited Non-Pro Classic; 3rd, Cattlemens Open Classic, etc. SHESA LITTLE DUALLY (f. by Smart Little Lena). $55,851: split 5th, Abilene Spectacular Open Classic; top 10, Bonanza Open Classic; finalist in the Breeders Inv. Non-Pro Classic, Brazos Bash Non-Pro Classic.